GeoGarage blog: Is technology making ships too complex? Maritime safety company Propel suggests that human failure is still top of the agenda when it comes to improving safety. However, in an age where ships are becoming more complex, is technology partly to blame? It comes across as slightly tongue-in-cheek, but Allan Graveson, senior national secretary at Nautilus International, is deadly serious. Graveson is speaking on the topic of human failure on ships; the hook being a report from maritime safety company Propel that claims human failure is still top of the agenda when it comes to reducing accidents at sea. In the chess match that has global powers looking for new ways to move goods around the world, the Mary Maersk and nine other sister ships are the biggest pieces. It’s imposing, making man and woman seem insignificant in its wake: the OOCL Hong Kong, classed as an ultra large container vessel. At 399.87m long and with a capacity of 21,413 twenty-foot equivalent units (TEU), it stands as the world’s largest container ship. Of course, not all vessels reach such Olympian heights, but the OOCL Hong Kong represents a new breed, one that over recent years has become known as the ‘megaship’. But what of the humble seafarer who has to work on these floating giants of steel? “As ship sizes and complexities of operations increase, the risk of major accidents has increased due to higher potential consequences,” Wentworth said in June. As Svendsen alludes to, total vessel loss has decreased. The Allianz Safety & Shipping Review 2017 states that 85 large vessels (of 100 gross tons) were reported as total losses in 2016, down 16% compared with a year earlier, and 50% over the last decade. Casualties have also declined year-on-year by 4%, with 2,611 reported in 2016. 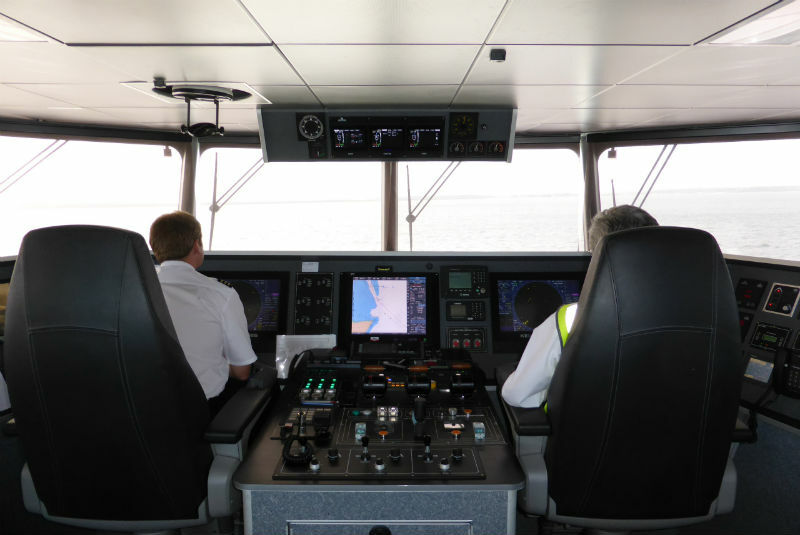 Taken on its own, it is promising, but there’s genuine concern in some quarters that seafarers are struggling to adapt to an ever-changing work environment – both the size of ships and complexity onboard, such as electronic chart displays for navigation. “I'm just surprised there aren't more accidents,” says Graveson, who adds that people often “focus on the immediate cause of an incident, not the roots causes of it”. This school of thought is backed by Mark Johnson, counsel in the shipping group at Reed Smith, who argues that information can be misunderstood, as people “add their interpretation to it”. Training is, therefore, a key plank of the debate – it has to keep pace with technological change. In essence, it actually calls for more technology to be used, most notably simulators, to enable seafarers to understand the look and feel of systems before they board a ship. “How effective is training?” asks Svendsen. “Are we measuring learning? I think we are still in compliance mode. If an inspector finds a gap in competence, you are sent on a training course. Although if that course doesn't provide the training you need, it's not effective. "Simulations are [important]. There's a bunch of new technology coming in to improve training. I think one thing is to [change the habit] of ticking boxes and seeing training as just compliance.” Svendsen also believes “we have to get deeper into learning analytics” to understand how people learn. There are, he adds, some mandatory training courses that are more about compliance and not necessarily the need. The well-documented prospect of autonomy is also part of the mix. As ships become ‘smarter’, it’s realistic to expect more training to cope with the myriad of systems onboard, but also consider that less direct human-interaction will be needed as autonomy takes over. There’s a mixture of fascination, intrigue, but also apprehension. The state of flux is keenly felt. No one quite knows how it will play out – cue plenty of ifs, buts, and maybes. “Smart shipping, as it becomes more integrated, might be some assistance,” says Graveson. So, is he confident human failure will reduce? Graveson is also concerned about the wellbeing of seafarers.